Wanderlust - Something which never fades off. Its the lust which keeps on growing with the time and how much we urge to explore around. Happiness is all about travelling and exploring the arts around the country. But when it comes to the international destinations, its always a dream to move out of the country and explore the art which is hidden. Since last few years, Indians have been doing international tris throughout the year. What is the key factor which evokes us to travel? Ofcourse the "Budget". 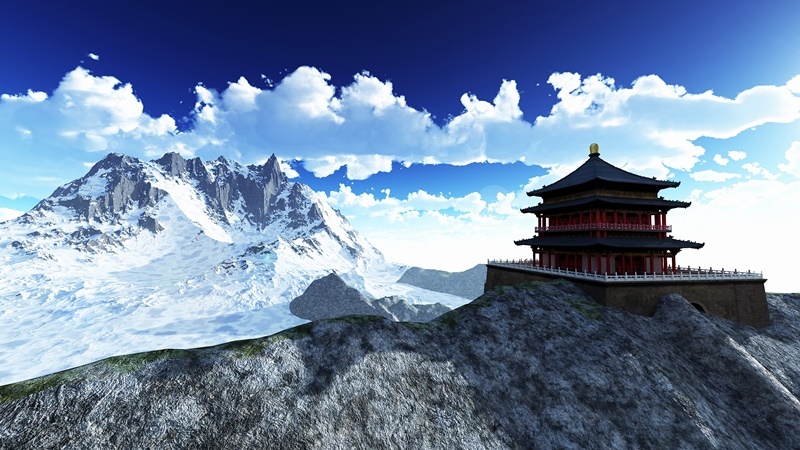 Bhutan: The land of happiness - This scenic beauty is exactly which fits into your budget. This neighbouring country is easy to visit with just a assort. Bhutan - is a lace which should be on your bucket-list if you are a nature lover. laces you could visit in Bhutan –Thimphu, Punakha, Haa Valley and many more awaits to be explored. It can be reached both by air as well as road. Singapore: One of the dream destinations, every wanderlust freak look for. Yes. Singapore is one of those places which will fit into your wallet. The country marks its significance with its culture and hospitality. The country attracts a huge number of visitors throughout the year. Singapore is a must visit for its architecture, tours, leisure and shopping. The best mode to reach Singapore is via Mumbai. Seychelles: Mostly unheard by Indians, this African country is a pure treat to the tourists who seek for some beach and natural fun. The country is a formation of 100 islands. The most suggested activities to do around Seychelles is - Nature Tours, Wildlife Exploration, Island Leisure, and the most exciting is the Water Sorts. This country is a perfect visit for a not so high budget trip. United Arab Emirates: planning for a low budget travel and forget Dubai? Is it like even possible? No. Dubai - the hub for international tourists. This lace has got to offer a lot in terms of both extremity of the arab culture and friendly tourists city. Dubai offers you with its elegance and royalty found around the city. Things to enjoy and visit in Dubai are - Dessert Safari, The Dubai Mall, Burj Khalifa, Burj-Al-Arab and many more attraction around the city. Do not miss the underwater museum which gets you encountered with the variety of underwater creatures. Cambodia: The country surrounded with the ethnicity of the culture and treasure beauty - This lace gives you thousands reasons to visit. The country is also known as the Kingdom of wonder and the tourists are attracted with its elegance. The charm offered by the country makes it outstanding and the beauty is the reason which attracts the tourists from around the world.